THE ACADEMY — Position Sports, Inc. Position Sports handles all Media, PR, Marketing and Operations for the Academy. In an effort to create a premium and seamless basketball experience with the game’s elite, Nike has launched the Nike Basketball Academy. Comprised of some of the best high school athletes and select college basketball players, The Academy allows the sport’s brightest players to compete against the best competition and learn from the games greatest players. Shifting from three skills academies to one, The Academy will be a tailor-made experience for guards, wings and bigs all under one roof. 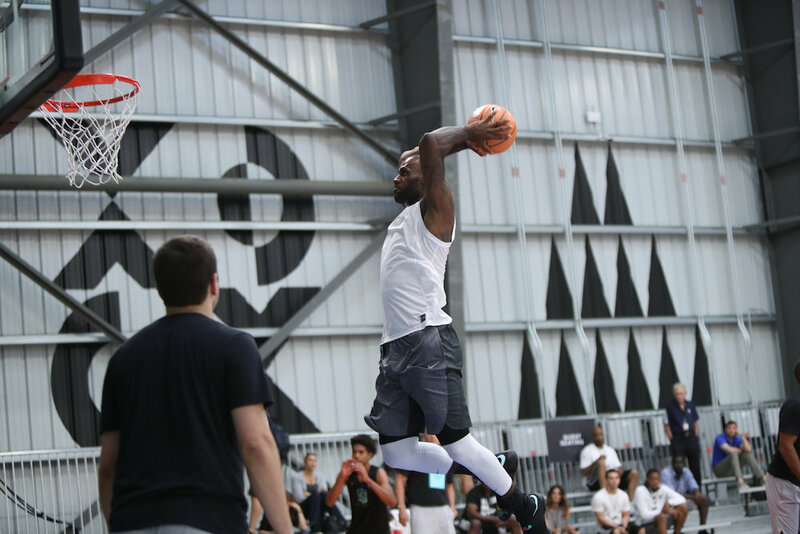 By creating a seamless experience, the Nike Basketball Academy will allow the best players in the country (both high school and college) to compete against the best competition while receiving guidance from Nike Basketball’s biggest stars; LeBron James, Kevin Durant, Kyrie Irving and Anthony Davis to name a few. Additional basketball legends will be on hand to serve as mentors and coaches for the weeklong session with the top high school and college players in the country.